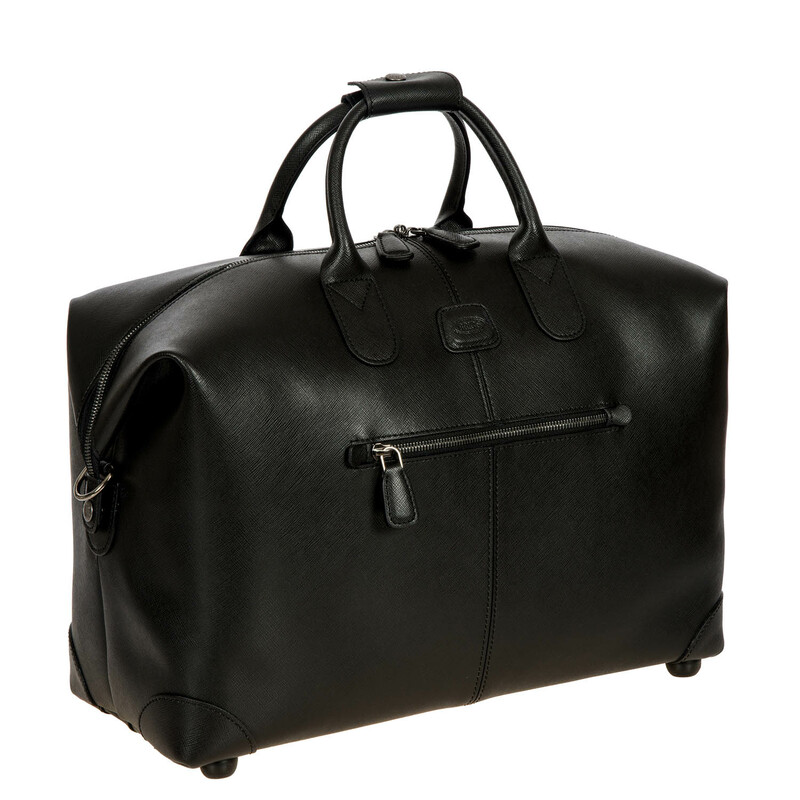 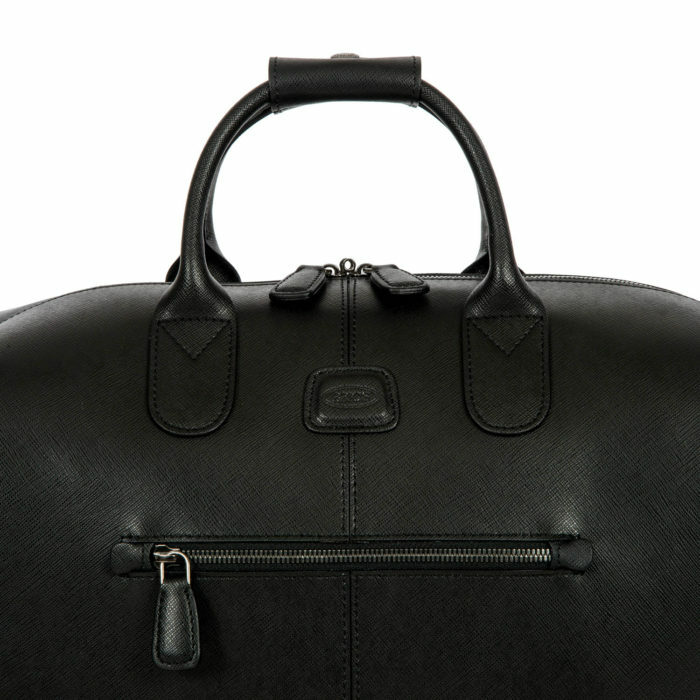 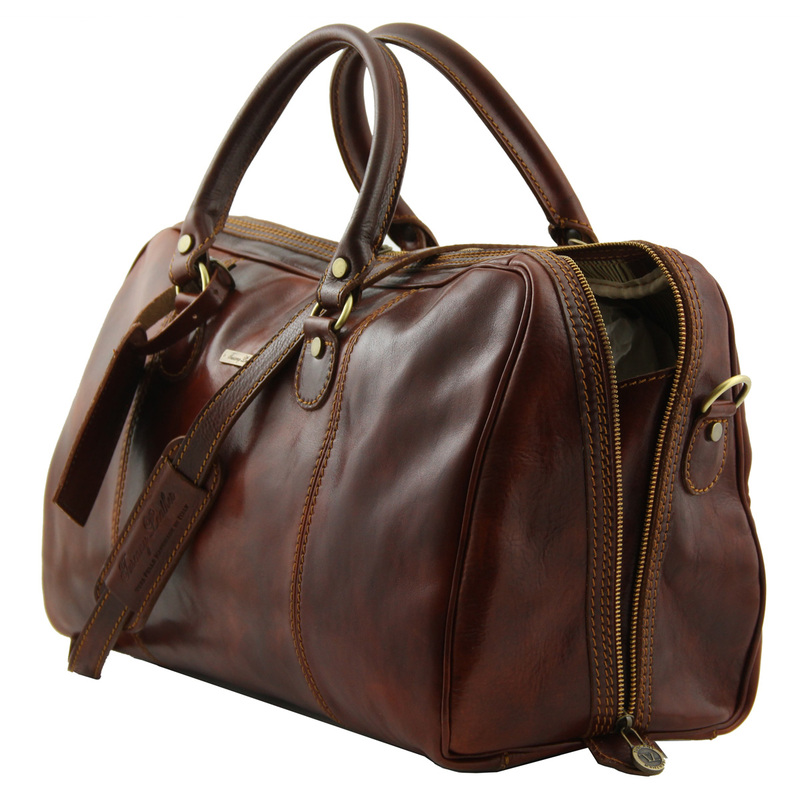 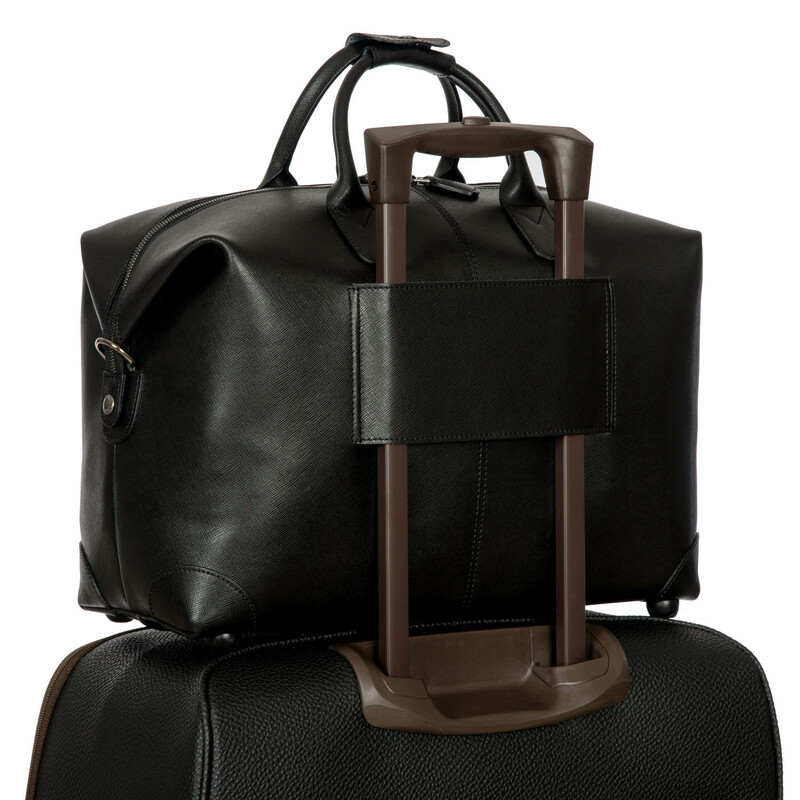 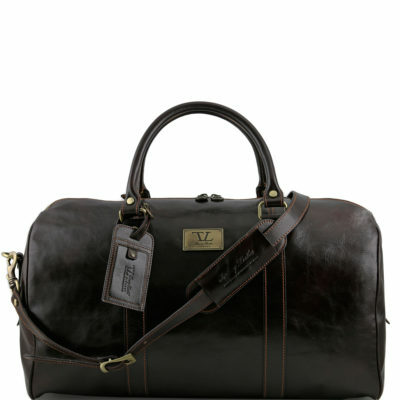 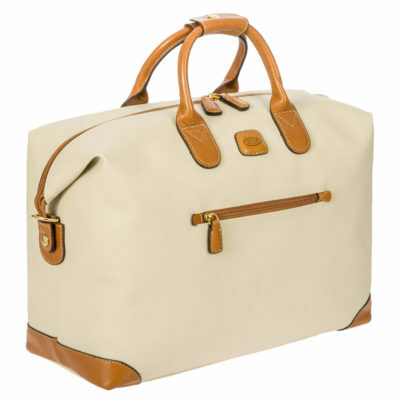 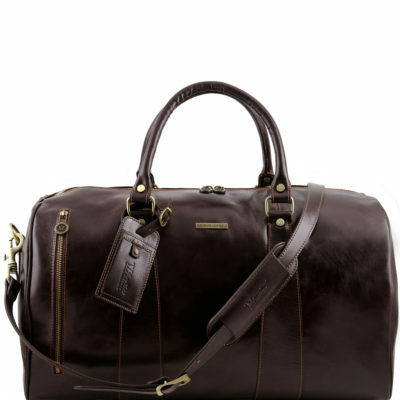 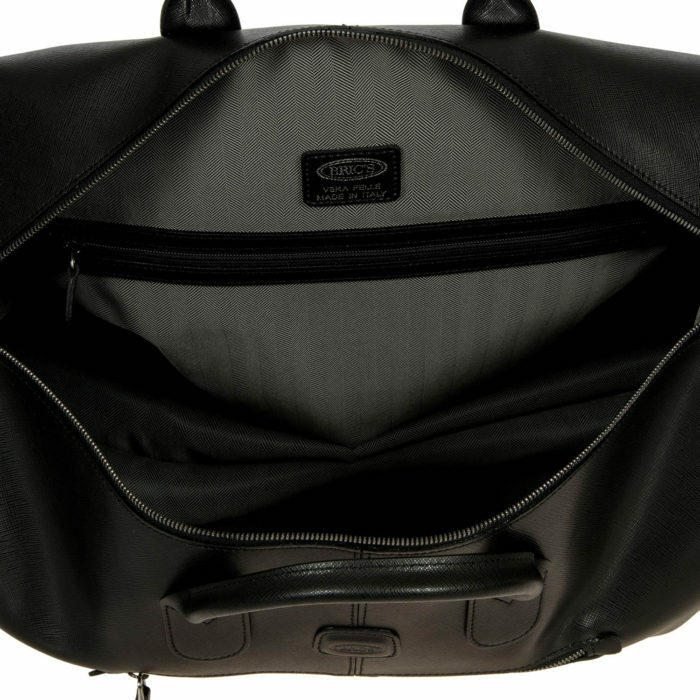 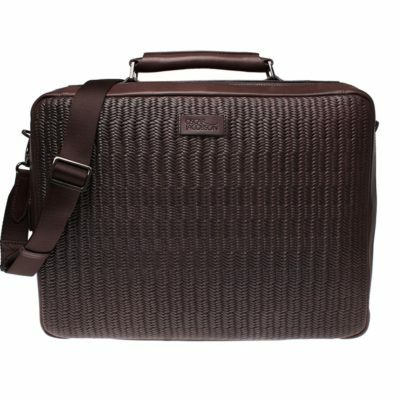 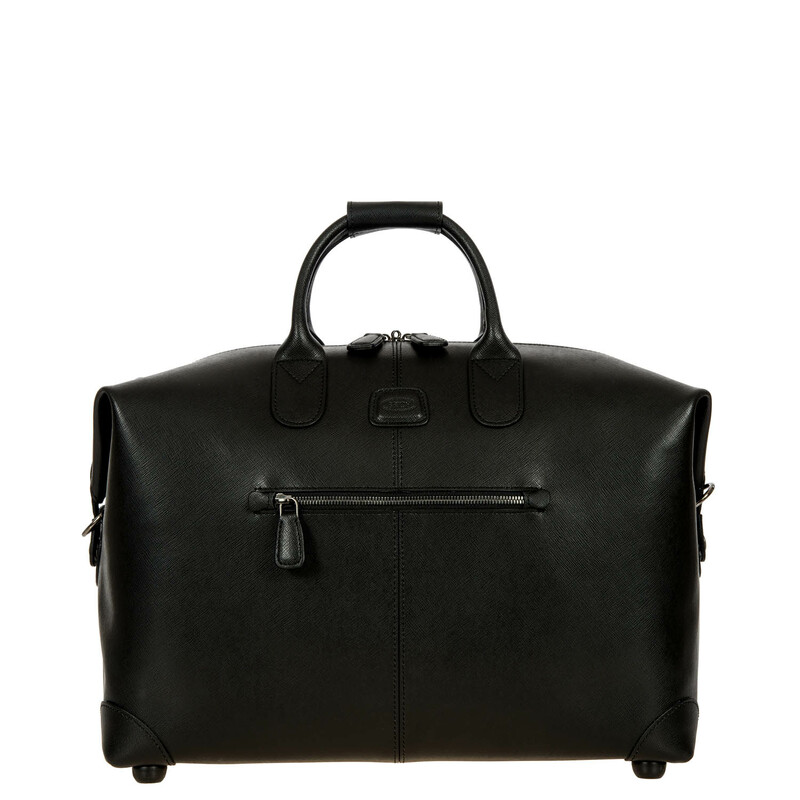 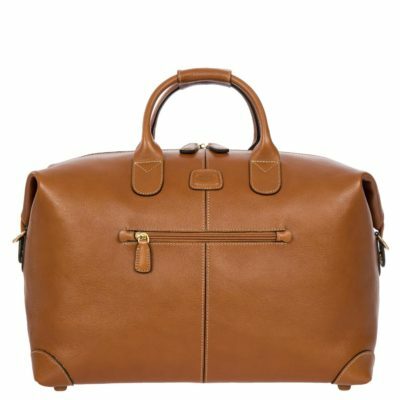 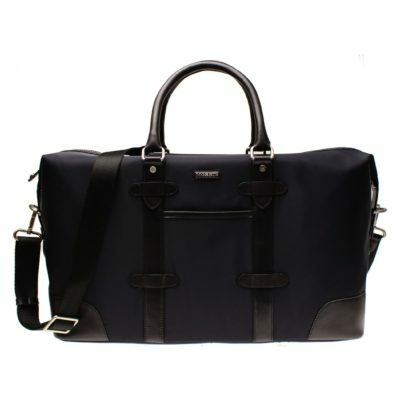 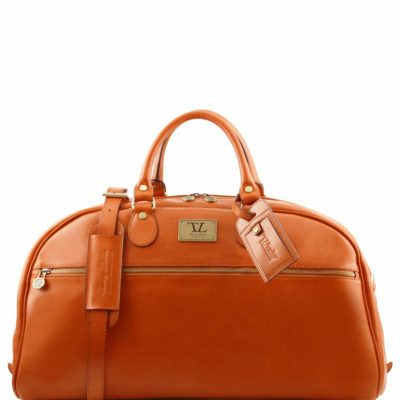 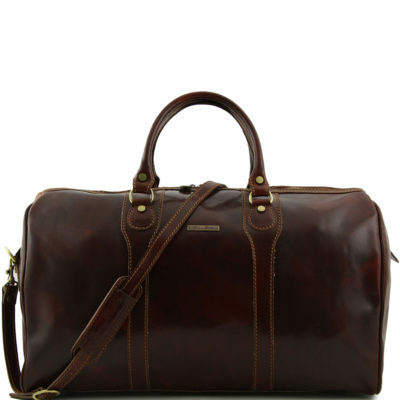 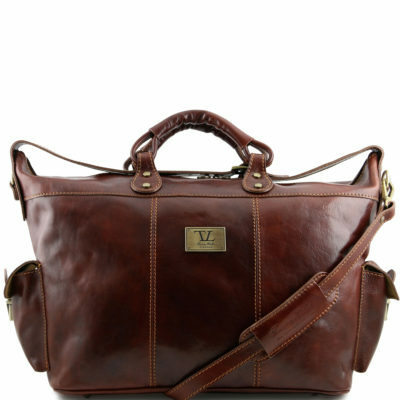 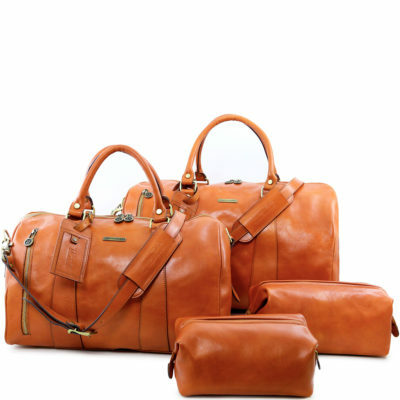 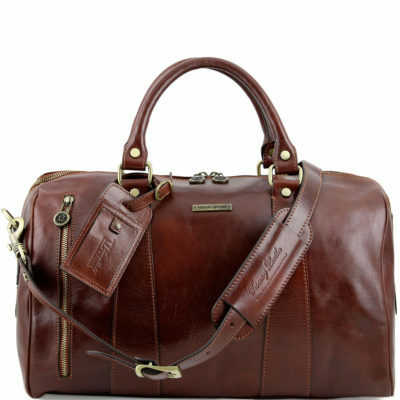 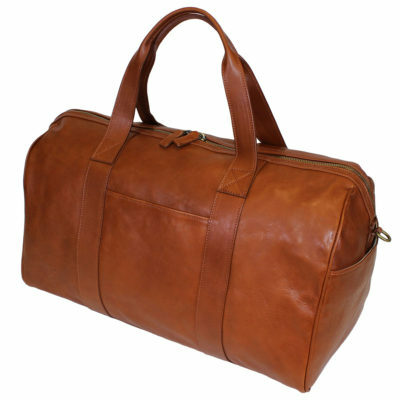 18 inch carry-on holdall from Bric’s Varese collection. 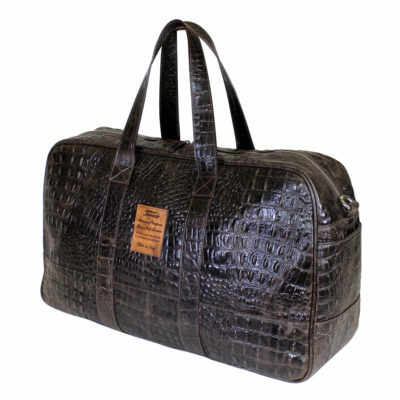 It is made entirely from cowhide with a saffiano-effect texture on the surface. 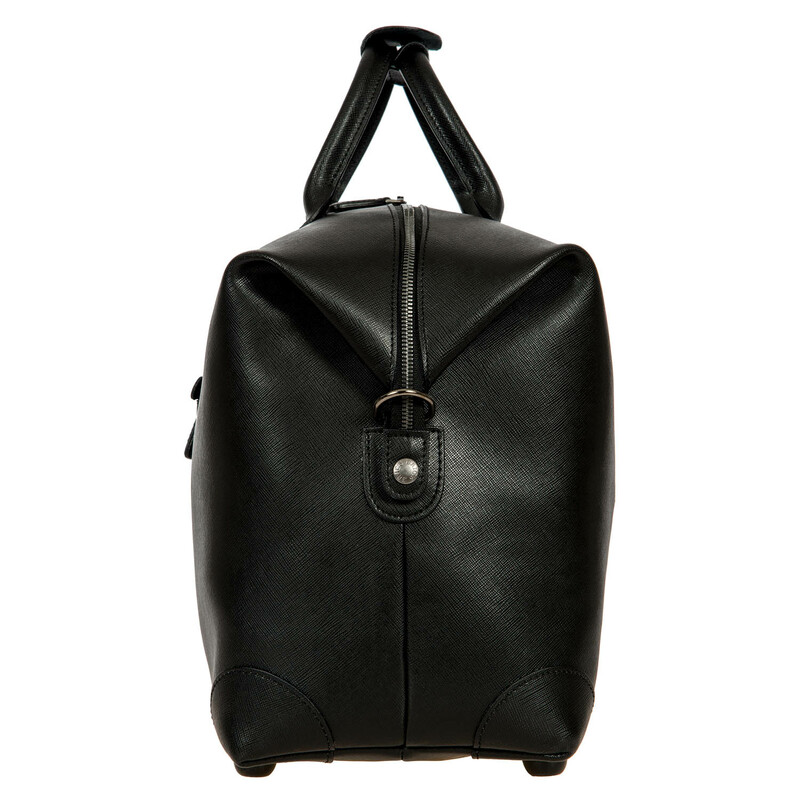 It is perfect for holding all your personal items for short trips or weekends away. 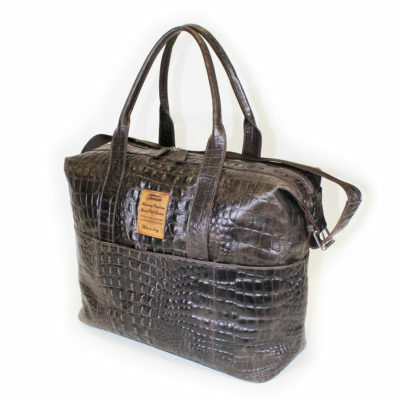 INTERIOR: herringbone-look jacquard fabric, small zipped side pocket. 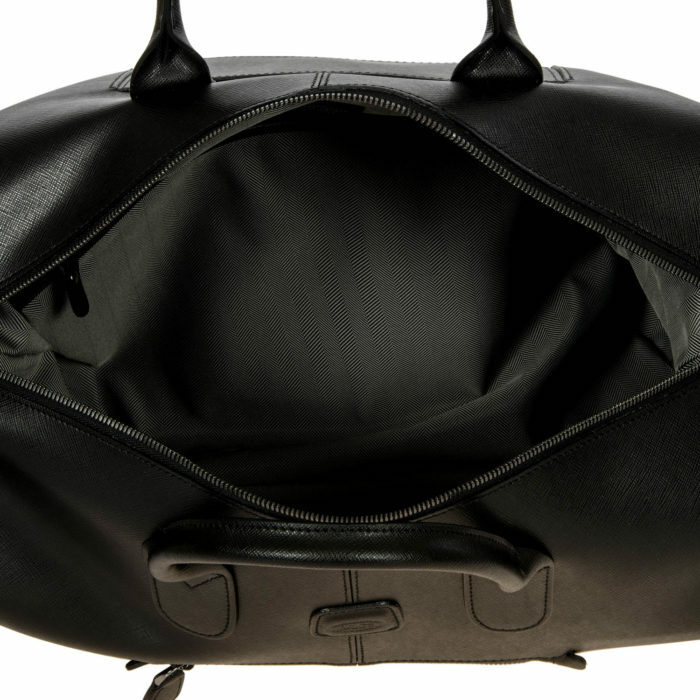 DETAILS: the bottom is reinforced to guarantee maximum stability and it is equipped with feet studs. A convenient transparent pouch is included where you can store all your liquids for security controls. The TSA lock with the Bric’s logo is required for American airport security as it allows checks to be carried out without damaging your trolley.